The ‘Brand of Odisha Pride of India — Corporate Excellence Awards’ is a welcome initiative from Sambad Group to felicitate local business enterprises from Odisha who have made their impact felt all across India. 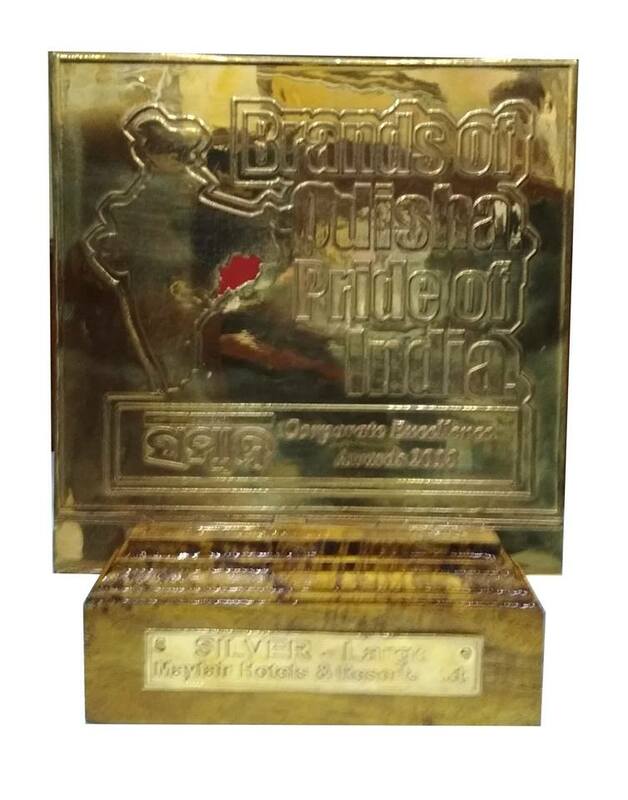 MAYFAIR Hotels & Resorts are honoured to have received the Silver award in “Large” category in the ‘Brand of Odisha Pride of India — Corporate Excellence Awards’. From its very inception in the early 80’s, MAYFAIR Hotels & Resorts which was founded by CMD Shri Dilip Ray, has made progressive forays into the world of hospitality and expanded positively all across India. While the first MAYFAIR hotel was started by Shri Ray in Rourkela all the way back in 1982, the group has now expanded all across the country including luxury properties in the states of Goa, West Bengal and Sikkim apart from the several stunning hotels in Odisha itself spanning destinations like Bhubaneswar, Puri and Gopalpur-on-Sea. MAYFAIR Hotels & Resorts are further in the process of expansion into new destinations like Kolkata, Siliguri and Raipur. Showcasing a unique brand of warm hospitality, excellent facilities and amazing locations, the group has been successful in having a positive impact not just in Odisha but all over the country.